New York (TADIAS) — As a teenager in 1978 when Zemedeneh Negatu headed to the United States with his future uncertain, he had no idea that three decades later he would be named one of Africa’s 100 Most influential individuals for his role in promoting economic growth in the country of his birth and in Africa. 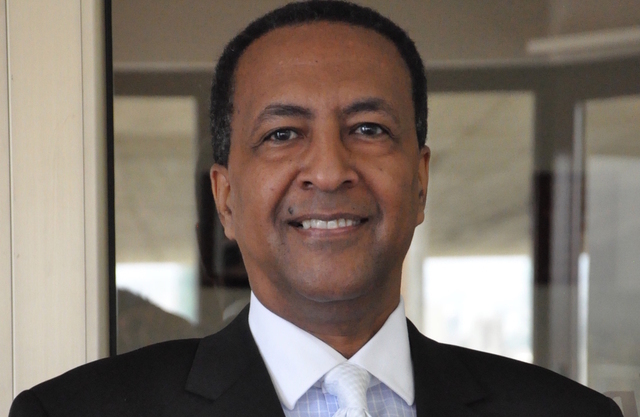 The current Managing Partner of Ernst & Young Ethiopia (EY) received the accolade last month from New African Magazine, which called him “a truly global citizen” and further noted that “anyone who has done business in Ethiopia will have come across Zemedeneh Negatu” or Zem, as he is affectionately known. In Ethiopia, Zem said, the economy has dramatically changed in the last fifteen years. “There wasn’t much back then,” he said, sharing that his first investment was a factory for feminine health products that did not pan out. “So I decided to settle for what I know best and opened a consulting firm.” His firm, EY Ethiopia, has been at the center of some of the biggest and most publicized business deals in the country, including the recent purchase of Meta Beer by the British-owned corporation Diageo, the world’s largest spirits drinks maker famous for Guinness Beer and Johnnie Walker. “I like to believe that we have contributed in our own small way to put Ethiopia on the global map as an attractive emerging market,” he said. “Of course the country’s progress has made our effort much easier since we have references we can highlight to global investors such as the significant GDP growth and major infrastructure projects including the $5.0 billion dam on the Nile river, the largest in Africa, and even the new subway in Addis Ababa, which is the only one in Sub-Saharan Africa outside of Johannesburg”. Zem is a highly sought after speaker at many high profile global conferences including the World Economic Forum, New York Forum and Harvard Business School where he completed the LSE program. He’s appeared many times on the international media such as CNN and BBC and was recently a “Power Lunch” guest on CNBC television. Zem has won many awards for his achievements including “Managing Partner of the Year – 2013″ from a top UK corporate finance magazine and “Pioneer Diaspora Business Person of the Year” at the annual event held in Washington in July 2012.